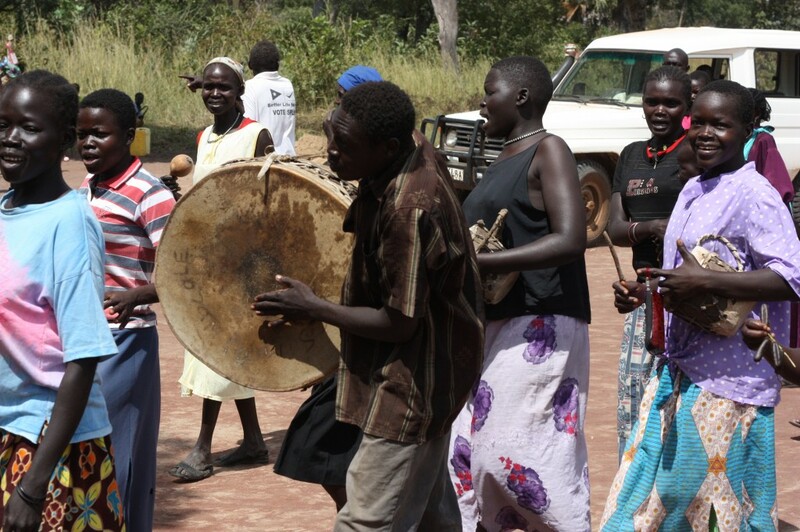 As we enter each village, the local inhabitants greet us with singing and dancing. They are thanking God for sending them help—help they have prayed for, for their children, for their sick, for their community. If that doesn’t humble you, there is nothing that will. They tell us we are an answer to prayer. How can that be, I wonder? I am a man just like the men of the village, but I live in luxury, never worry about my next meal, and never fear for my life. No animals come into my yard and threaten to harm my wife, children or me. Never do I have to walk more than a few feet for unlimited, clean, fresh water—let alone 7 miles as they do. This is real life for the people here, scratching out an existence of survival in a harsh but beautiful countryside. The diseases here are many and intense. Every family is plagued by illness of some kind, from internal worms to life-threatening dehydration, or the most common—malaria. A young mother brings her baby girl to us—she doesn’t respond to anything I do, and lays lifeless in my arms. My heart sinks as we begin treatment for her main problem—she is so dehydrated we will have to give fluids with IV’s and a gastric tube just to give her a chance. After three hours, she is awake and mad! We thank God for the reprieve. As we treat malaria, skin infections, parasite infestations and malnutrition, it is the children—the masses of children that steal our hearts forever. They are ill, yet they smile brightly. They live with fear daily, but they allow us to hold them in our arms, and hug our necks. We will never be the same, nor should we be. We have seen God’s touch on these wonderful, precious people. When we finish seeing illness for the day, the women of the village insist on providing a meal for us—a meal they can’t afford, but upon which they insist. They give us the best that they have, and never complain. They consider it an honor to provide for their guests—another incredibly humbling experience.